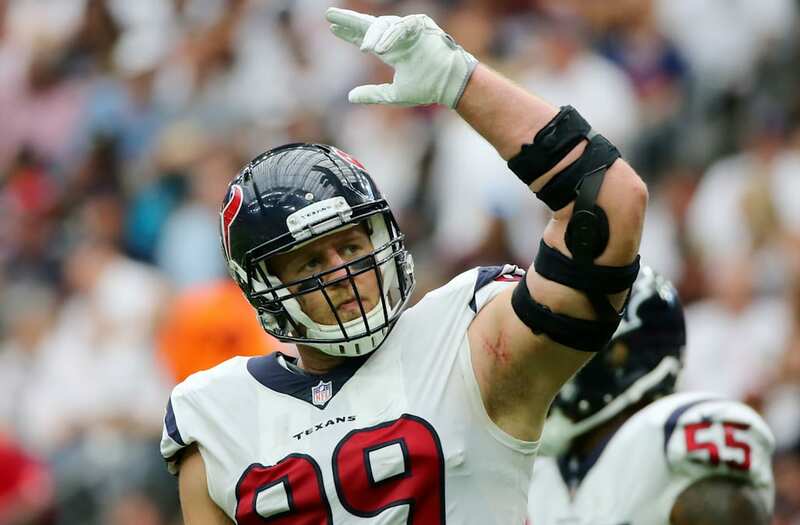 JJ Watt suffered what sounds like a gruesome finger injury during the first half of the Houston Texans' season-opening loss to the Jacksonville Jaguars, but to hear him describe it, you would think he got scratched by a cat. Watt missed one series after injuring his finger and the early speculation was that he had suffered a dislocated finger. After the game, Watt was asked about the finger and not only did he nonchalantly describe something that sounded a lot worse than just simply a dislocated finger, he also dismissed the injury as no big deal. "[It happened in] the second quarter sometime," Watt said. "Just busted the bone through the skin. Nothing bad, just tape it up." You can see Watt's comments here, via NBC Sports.